Presenting his case. The Prince of Pentacles is the mystery solver. Curious and rational, he will analyze the facts in any situation to figure out what's really going on. Don't try to hide the facts from him. It will only whet his curiosity and make him dig harder. 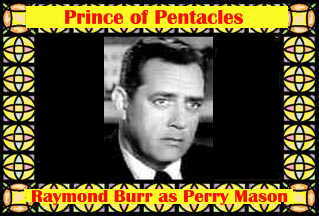 Perry Mason was courted away from Perry Mason TV Series.